I’m very particular when it comes to body moisturizers. Naturally they need to smell as though they’d taste equally delicious, but endurance is important. 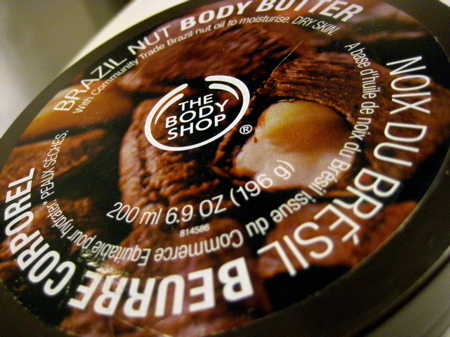 I require something that will keep my skin supple all day and the Body Shop’s body butter does just that. It’s not unusual for me to go through a jar each month. Brazil Nut is my pony. Never one to give powder a chance, I always assumed it would be messy and leave unsightly residue in my hair and on my skin. 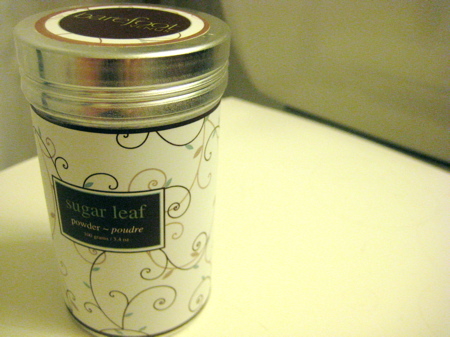 Not so, and I’ve discovered Sugar Leaf powder from Barefoot Venus. Locally made and infused with red fruit, peach and vanilla essences, this subtle product is quickly becoming my daily perfume replacement. Despite how much I love Lush’s bubble bars, $8 doesn’t go a long way. Many other drugstore bubble baths are made with far too many chemically-produced fragrances – even the supposed naturally scented ones. Thankfully some are designed for more delicate skin and are far less abrasive. 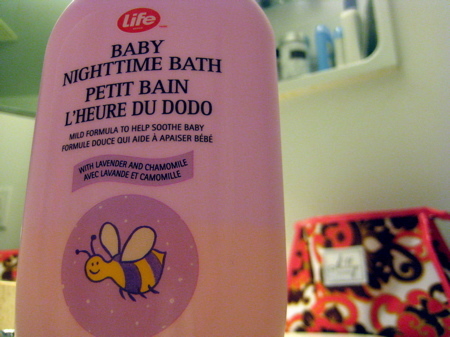 Life brand from Shopper’s Drug Mart has created this lavender and chamomile bubble bath designed to lull babies to sleep at the end of the day. They must be doing something right because I too fell asleep in the tub on the weekend. 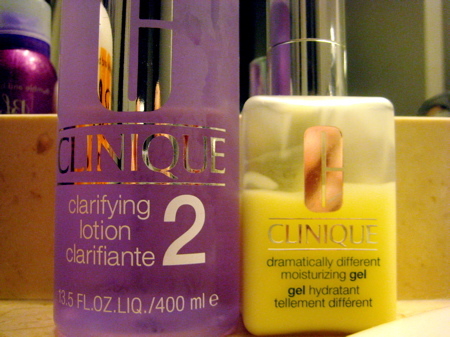 My quest for skincare seems to be an eternal one, but I somehow always end up back with my old pal, Clinique. It’s dermatological formulated and approved and never fails to leave my skin feeling clean and refreshed. You can’t top a classic. Months ago when my hair was breaking all over my crown and sending me into a frantic panic, I wasted no time in fixing my hair – and keeping it that way. 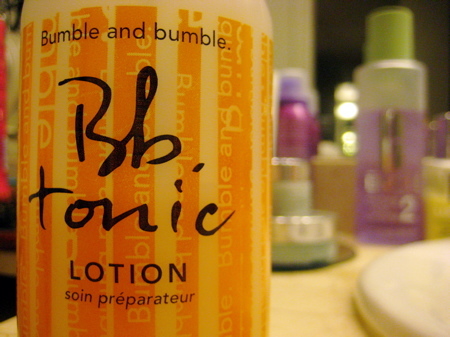 Prior to that, I’d been skimping out on my usual dousing of Bumble & bumble.’s Tonic spray. To ensure that me and my hair never again break up, this daily dose of vitamins, minerals and essential extracts is a non-negotiable. You’ve probably heard your girlfriends mention them. 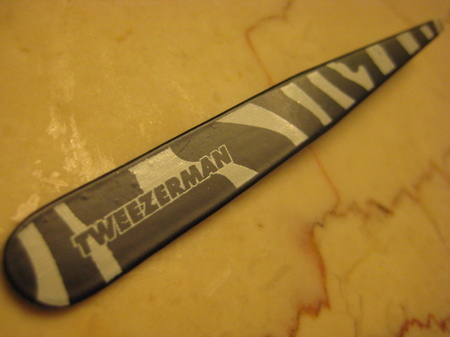 Maybe you’ve even considered buying a pair of Tweezerman tweezers. Yes, they are worth it. Anyone who has ever gone shopping with me in an attempt to purchase body wash knows first-hand how arduous I find the task each time. I do want something moisturizing but I don’t want a cleansing cream. I do want something that lathers but I don’t want a soap-based wash that strips my skin. And don’t even get me started on how many body washes overpower with their scent bouquets. 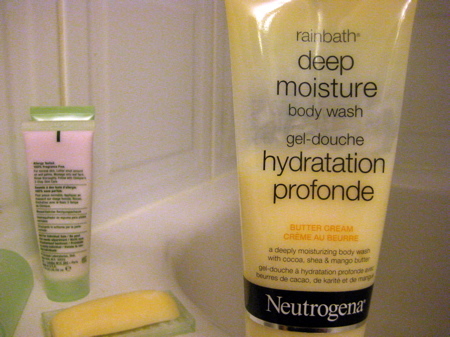 I was elated to discover Neutrogena’s Rainbath Deep Moisture body wash with butters of cocoa, mango and shea. What would I find in your bathroom? It’s silly to say but you would find a little tube of mustache wax in my bathroom. the bathroom is a boy place, sadly.This post has inspired me to change that situation. Tweezerman tweezers and nail clippers are excellent, well-made products. Men may prefer the stainless steel designs over the pink or zebra pattern (! ), but I think everyone would enjoy having at least a basic set in their kit. @Sarah – Yes to all on Bumble products. The Defrizz is great but I’m also a big fan of the Brilliantine cream. Which shampoo/conditioner combo are you currently using? I’ve been growing my hair out and have noticed it falling out a lot more now that it’s longer. do you notice this with your hair at all? if not what do you use to shampoo and condition? I’m in the midst of the panic and don’t want to cut it because I love it now that it’s longer. @crys – How much would you say is actually falling out? My stylist told me that for long hair, it’s normal to lose between 100-200 strands per day if you can believe it. I would guess I probably lose about 75 per day. The longer your hair gets, the more susceptible it is to breakage, damage and weakness so screwing around with your shampoo and conditioner isn’t a good idea. While it’s certainly not at all necessary to buy salon brands to attain quality, it’s what I stick to. During the winter months I use Bumble & bumble.’s Creme de Coco shampoo and conditioner and the Tonic spray daily and the Creme de Coco masque once per week. It’s got great moisturizers without making my hair feel heavy or oily. I usually switch to something lighter like the Gentle or Seaweed lines in the summer. wow. that’s really comforting! I thought it was normal to lose 50 – 75 a day, and I would say that I lose about 100 a day,with most happening in the shower or when I comb and dry it (which I try to avoid doing as much as possible for this reason). I am using john frieda root awakening right now but I’m not thrilled with it. I’ve been wanting to try bumble and bumble, but I’m not sure if it’s available in halifax. @crys – I’m glad that news brought a bit of relief! I wouldn’t worry too much, particularly because your hair is long. Lucky for you, Bumble & bumble. products are available in Halifax at Thumpers Salon on Granville Street and at Mills on Spring Garden Road. I’m sure the staff could assist you in picking the right products from the line for your hair needs. It’s really fantastic stuff! now that’s service! thanks so much! I defintiely feel better. I’ve been reading your blog for ages, but never commented. it’s great to see that you’re exactly as nice as you seem. @crys – No problem and thanks for reading! I was using the damage therpay cleanser and conditioning creme but it is just to hard on the pocketbook. I am now using the creme de coco , which I love. Have you tried the gentle shampoo or super rich conditioner? I was thinking of giving that a whirl next . However, why mess with a good thing (but could be even better for my over processed hair). The Brilliantine cream is also next on my list. One great thing about their products is that they are highly concentrated so a little goes a long way. Defiantely worth the money. @Sarah – Yup, I tend to use a combination of the Gentle shampoo with the Alojoba conditioner during the spring/early summer and then switch to the Seaweed line. But there are definitely some tried and true products that I use all year round. All this looks so fantastic but – you would find toothpaste, toothbrush, shaving cream, shaving brush, razor, head & shoulders shampoo and a bar of soap in my bathroom.